Size: approx. 15 mm. Photo: 08/11/14, 9 pm. 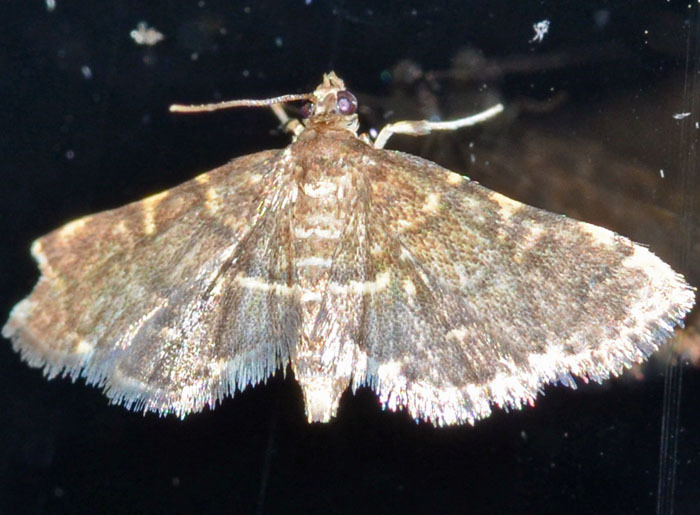 Another brownish moth ... The "color" pattern on the wings is apparently characteristic.